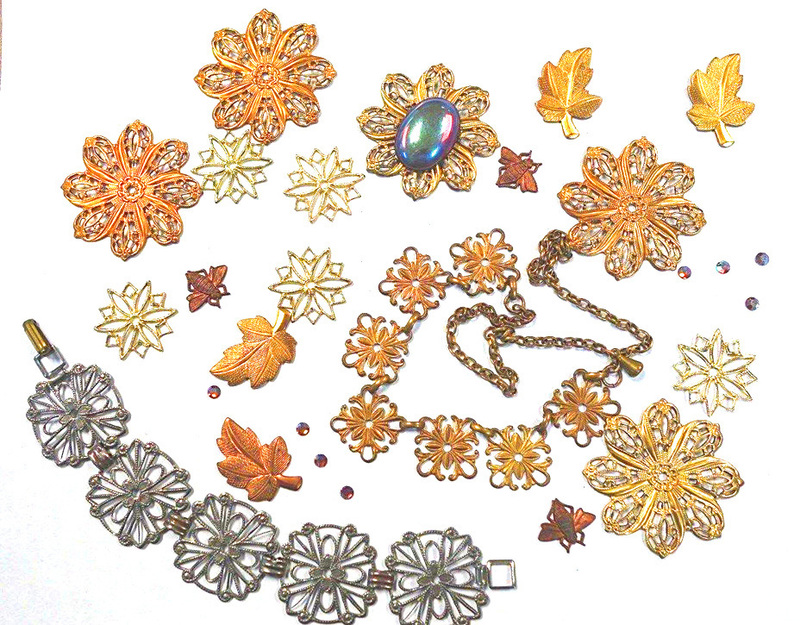 Jewelry Findings - Vintage Assortment. Beautifully detailed stamped metal pieces with bonus 9 glass inserts for a total of 28 pieces. Stamped metal pieces include copper, brass and nickel. Jewelry parts are highly detailed. Assortment includes a necklace and bracelet which can be dismantled and re-purposed if desired. Glass Inserts include 8 faceted 4mm rhinestones and 1 1"x3/4" cabochon. Glass Inserts are flat-back for easy application.